This lot features a vintage 1953 "Beat the Devil" original movie theater poster. This poster remains in nice condition as it has been stored flat and has not been folded only rolled. Beat the Devil is a 1953 adventure comedy film. 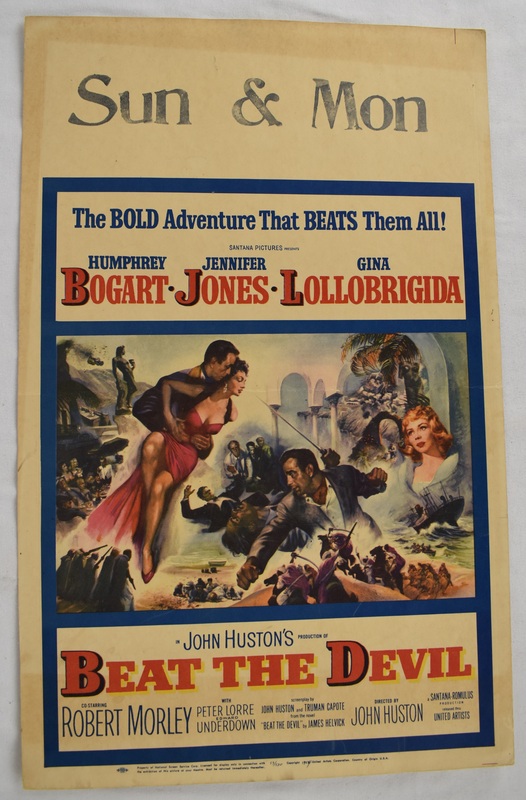 The film was directed by John Huston, and starred Humphrey Bogart, Jennifer Jones and Gina Lollobrigida, and featured Robert Morley, Peter Lorre and Bernard Lee.